Microsoft now supports a broader range of operating systems and Intel processors in its fight against Spectre and Meltdown. Microsoft said Tuesday that it has expanded its ongoing efforts to patch the Meltdown and Spectre vulnerabilities in two directions: by providing patches for Windows 7 and Windows 8.1, and archiving microcode patches for Intel's Skylake, Kaby Lake, and Coffee Lake chips. 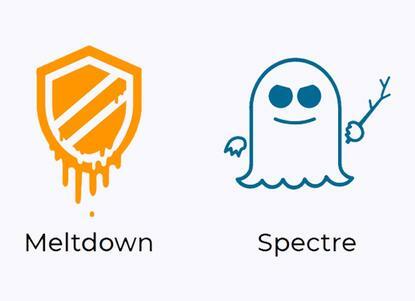 To address Meltdown and Spectre, PC owners need patches for both the operating system and the processor on their device. To date, Microsoft's efforts to patch the Spectre and Meltdown vulnerabilities have focused on providing the most recent updates for Windows 10, its most modern operating system. On Tuesday, it began adding support for both Windows 7 Service Pack 1 and Windows 8.1 via Windows Update and its archived patch catalog, though there's a catch: only 32-bit versions are currently included. Microsoft also said it has begun archiving microcode patches that support Intel's Kaby Lake and Coffee Lake chips, all members of Intel's line of Core microprocessors. Microsoft had begun archiving some of Intel's Skylake microcode patches for Spectre and Meltdown and earlier this month. What this means for you: Microsoft's latest efforts simply make available Meltdown and Spectre patches to more PC users. Sure, the majority of Windows 7 and 8.1 users probably run 64-bit versions of Windows. But Microsoft's step-by-step approach to increasing support for Spectre and Meltdown patches also means that you can probably expect support for more of Intel's processors, as well as 64-bit versions of Windows 7/8.1, within the coming weeks. As always, the best way to protect yourself against Spectre, Meltdown, and other vulnerabilities is to patch your PCs. Microsoft's support for Intel processors, maintained within the same on-demand patch that it previously deployed, covers all of the Skylake chips, the Kaby Lake family, the Kaby Lake-R U-series, as well as the Coffee Lake chips. As before, it will only work with PCs that have been upgraded with version 1709, or the Fall Creators Update. Related, Microsoft also said that security support for version 1607 (the Anniversary Update) will expire on April 10, on or around the time that Redstone 4, which is being referred to as the Windows 10 Spring Creators Update, will be released. (You can manually download the Fall Creators Update on Microsoft's site, provided that you have an existing license to Windows 10.) If you haven't patched an old Windows 10 system that's been sitting on the shelf, the time is now.